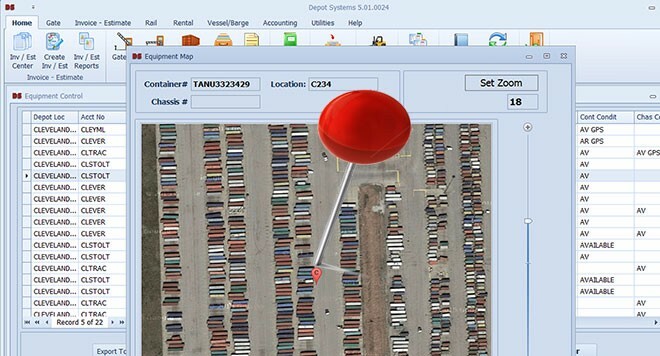 Depot Systems 5 GPS Yard Management Module is an available add on module to allow GPS location mapping of equipment in your terminal. 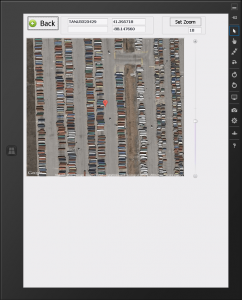 The module also enables the use of the yard slot management system to create a yard slot parking layout and auto assign units to parking spots in the terminal as they arrive. 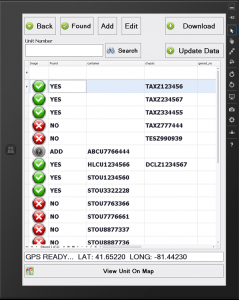 With this add on module the Yard Check screen on the tablet system allows adding GPS tags to each found unit and allows GPS tags as units are moved or lifted in the terminal via the Change Status screen on the tablet system. 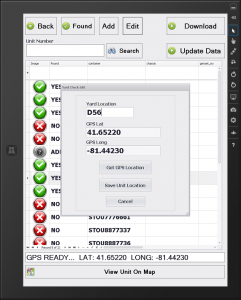 GPS locations can also be used from the Estimate screen to tag the location of equipment for repair. The equipment location can be viewed via satellite mapping screen via the Equipment screen on the PC software or via the Map buttons on the tablet Change Status screen. The GPS module can easily track equipment any terminal layout and supports inexpensive GPS satellite receivers for the tablets. Many tablets come with GPS chips built in, but windows tablets also support additional USB GPS receivers and dash mount satellite antennas can be used in top picks and yard tractors. Inexpensive GPS location mapping of equipment in yard. No GPS equipment per unit, no attaching tracking devices to equipment. 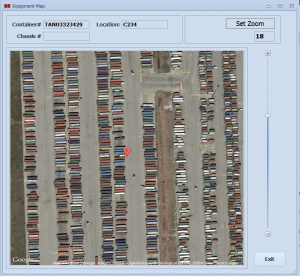 Create list of marked parking space by size type, damaged / good order, reefer, or loaded. Please see the Depot Systems 5 Windows Tablet page for more details on tablet GPS receivers and tablets.